(VEN) - Industrial explosive materials play an important role in mining, building materials and construction. Therefore, units have promoted investment in science and technology in order to develop the sector and improve product quality. 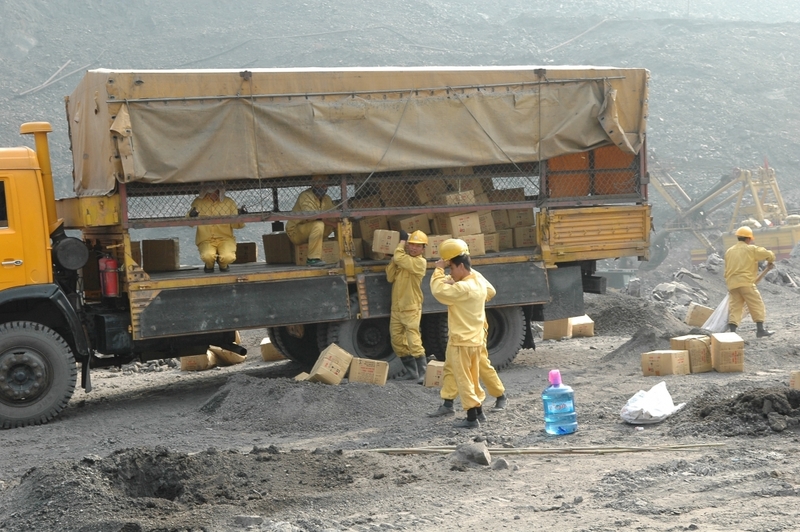 According to the Industrial Safety Techniques and Environment Agency under the Ministry of Industry and Trade, before 2009, production lines of industrial explosive materials used mainly outdated Chinese technologies. During the 2009-2014 period, it was replaced by advanced production lines with higher automation and safety. Thanks to replacement, the working conditions of workers have improved, while product quality has been more stable. Scientific and technological officials in the sector have completed many topics for new product development. Most of the topics are highly practical, bringing greater economic efficiency in production and use. For example, the Vinacomin - Mining Chemical Industry Holding Corporation Limited with the research topics of producing NTR05, NTR06, NTRO7 and NTR08 products has met the need for industrial explosives for open-pit mines. Le Hong Son, director of the Institute of Explosive Materials, said the institute is a leading unit in research and development of new industrial explosive materials, and one of the two industrial explosive material laboratories nationwide designated by the Ministry of Industry and Trade. Tran Viet Hoa, deputy director of the Department of Science and Technology under the Ministry of Industry and Trade, said research and testing activities of units in the industrial explosive material sector in recent years have yielded good results. Therefore, in the coming time, the Department of Science and Technology will create more favorable conditions for them in order to further improve product quality. According to the Chemical Department under the Ministry of Industry and Trade, there are eight units permitted by the state to produce explosives and explosive accessories. Total capacity of production lines of industrial explosive materials currently stands at 140,000 tonnes a year, meeting the country’s needs. In particular, some units producing and trading in industrial explosive materials have started to export to some Southeast Asian countries. In 2018, Vietnam is expected to export about 1,500 tonnes of explosives. This is a good sign, showing that units have improved their capabilities in order to target foreign markets. capacity of the production units and research centers.